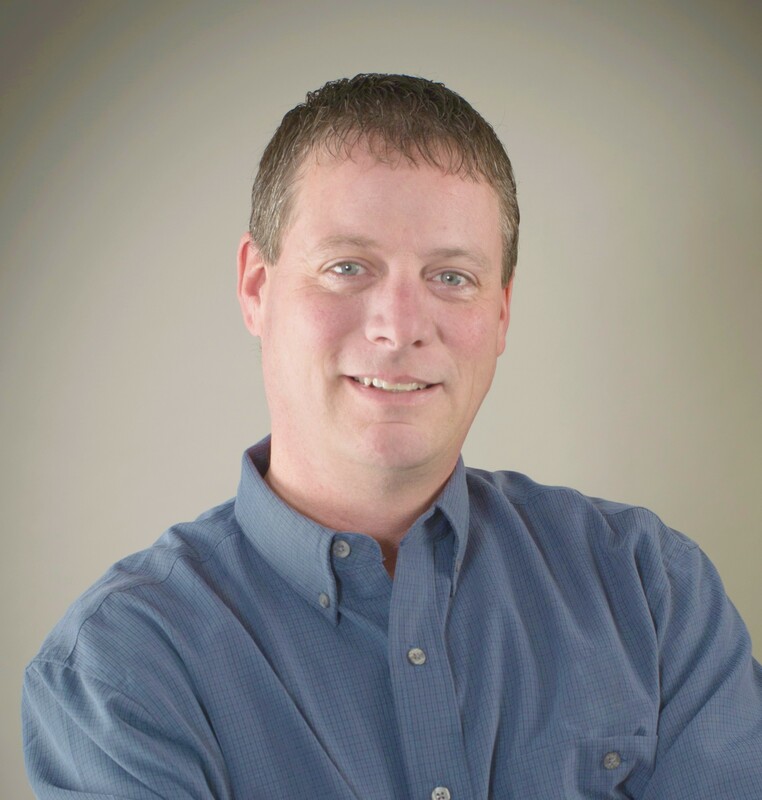 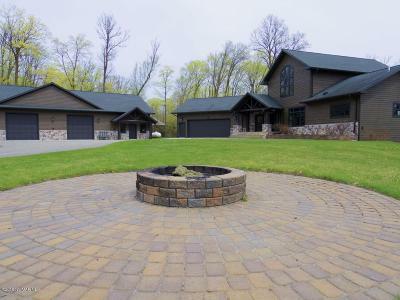 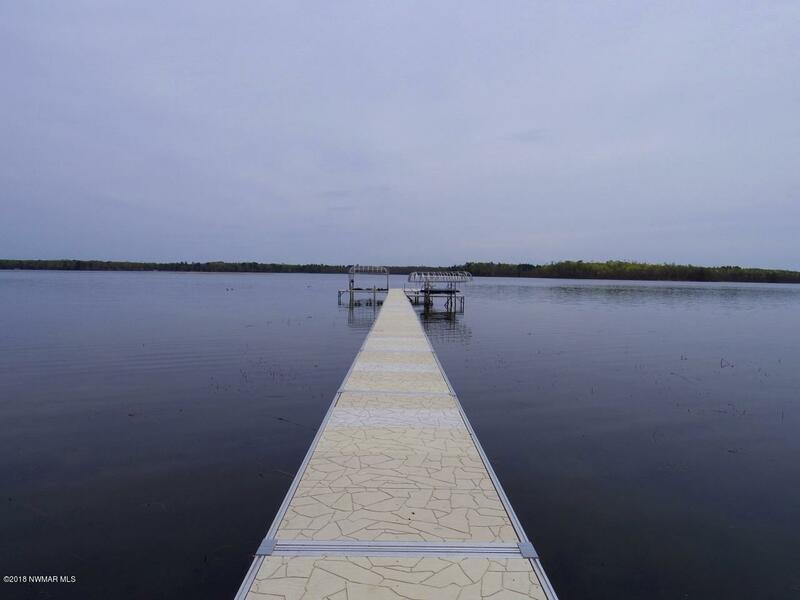 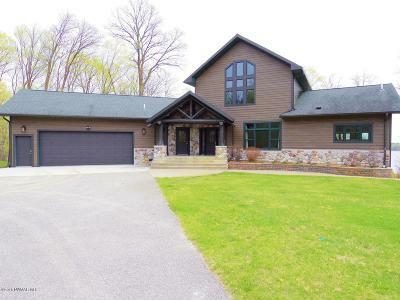 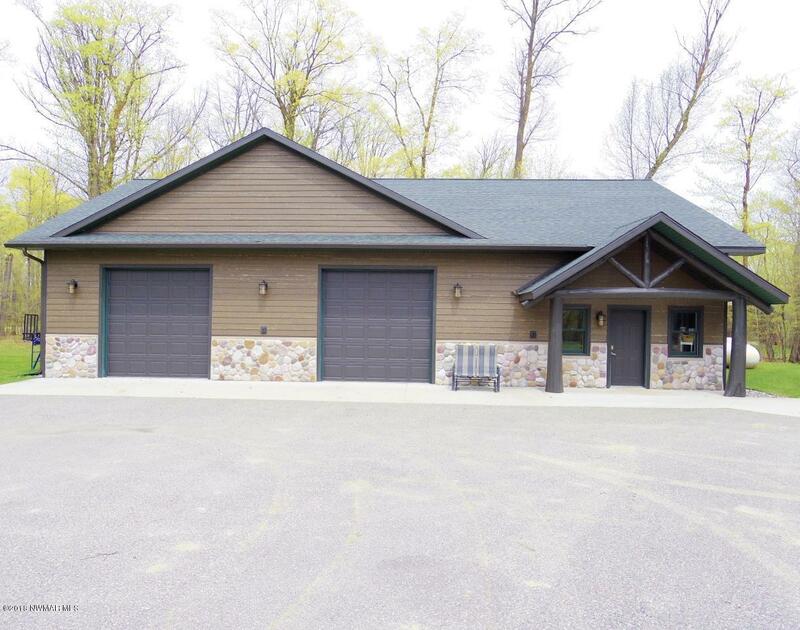 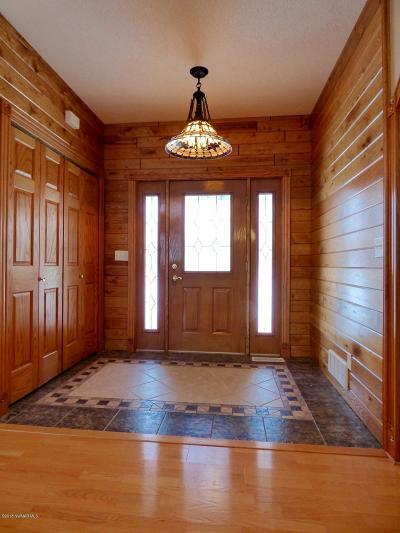 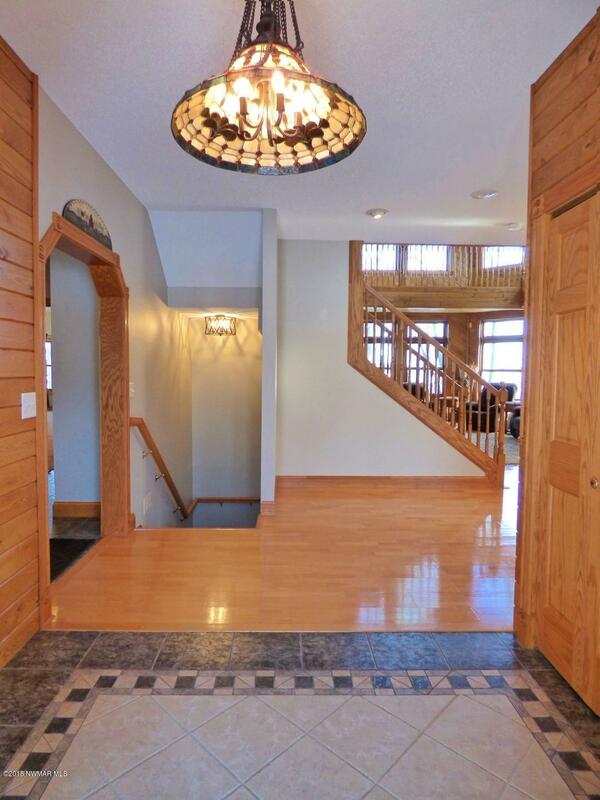 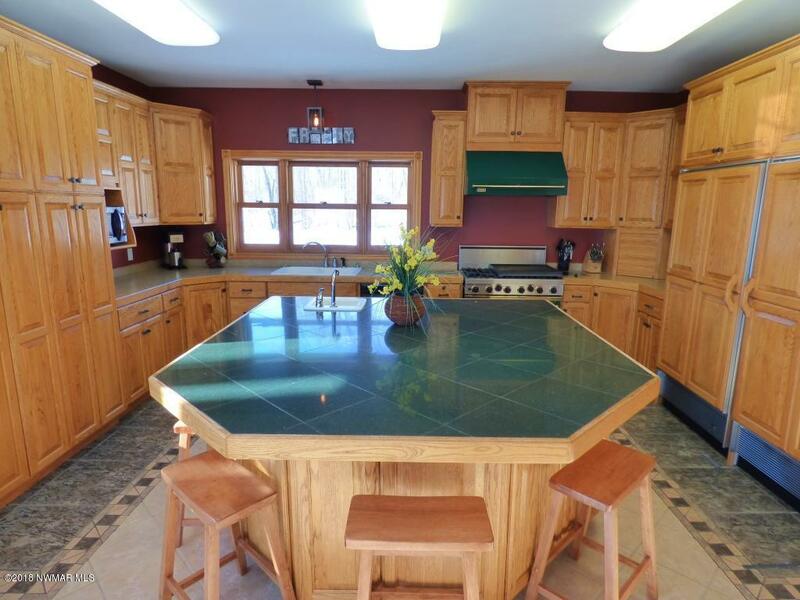 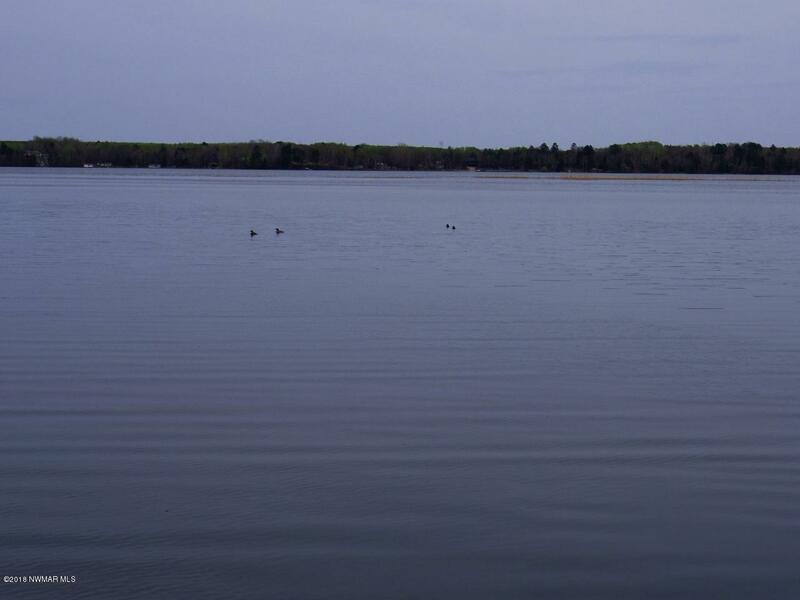 14640 Anjonabe Court SE, Bemidji, MN.| MLS# 19-182 | Chris Kvam | 218-766-8586 | Realtor with Realty Experts | Search for homes for sale in Bagley and the surrounding areas of Bemidji, Shevlin, Solway, Clearbrook and Leonard. 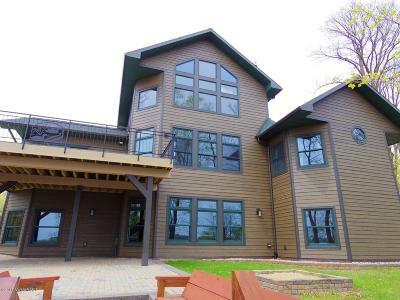 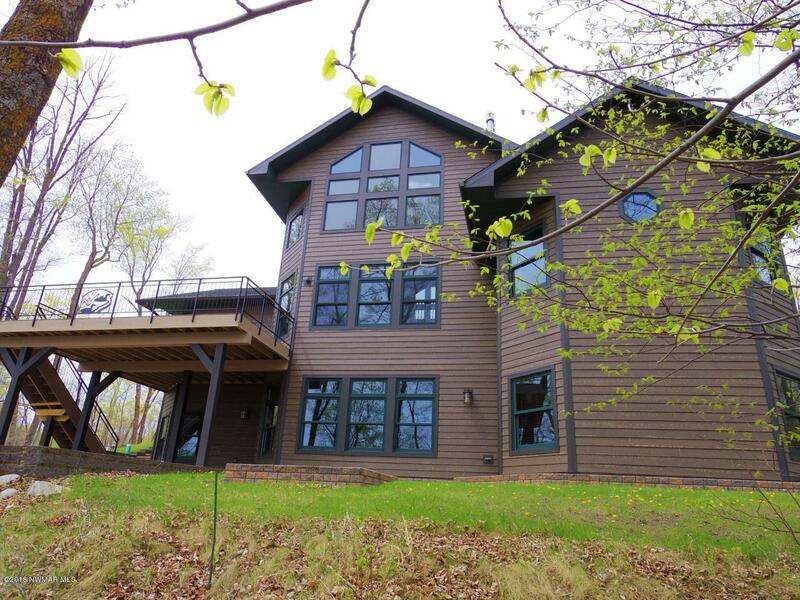 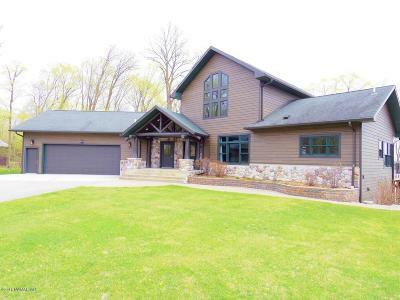 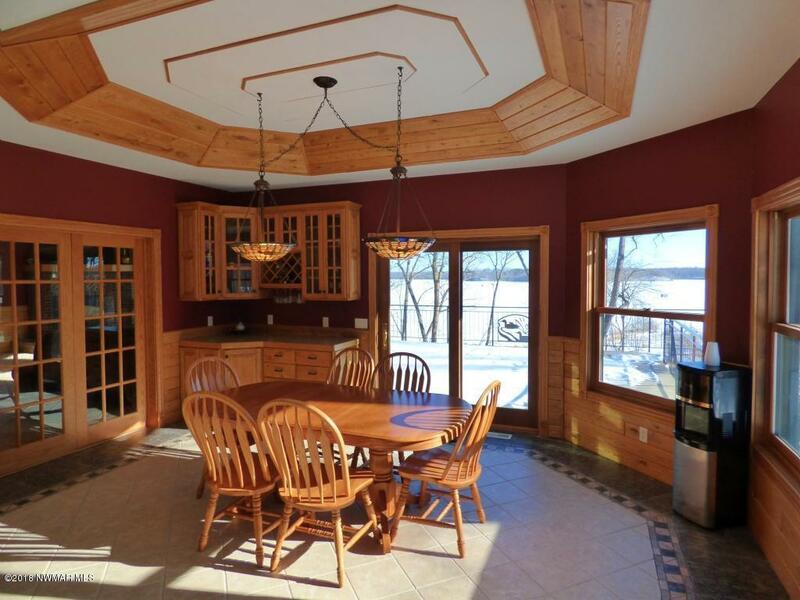 This property is exquisite, situated on the desirable Lake Andrusia. 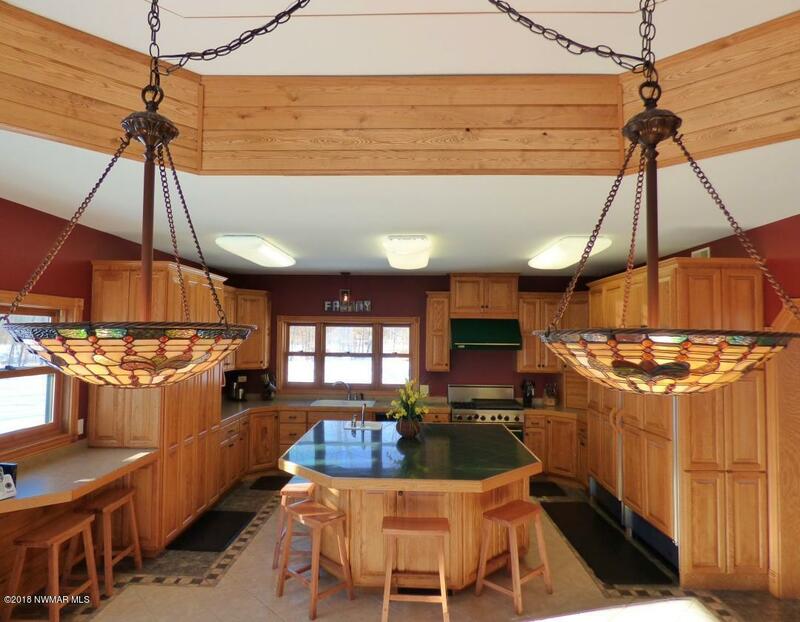 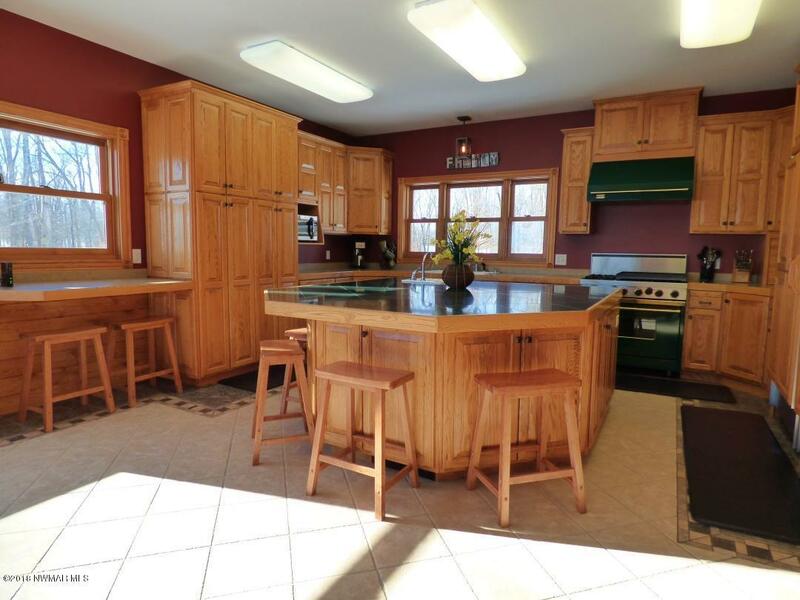 The 4 bedroom 4 1/2 bath home is just under 6000 sq ft and features an open concept chefs kitchen & dining room. 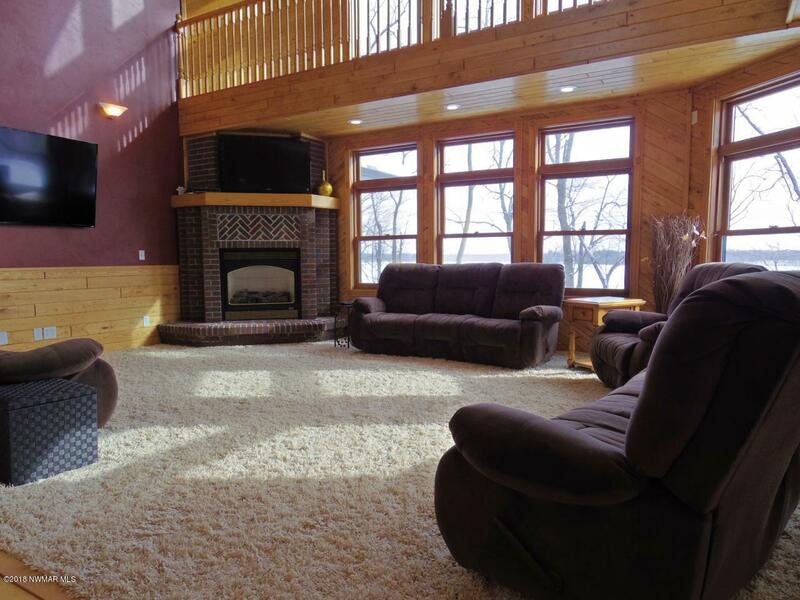 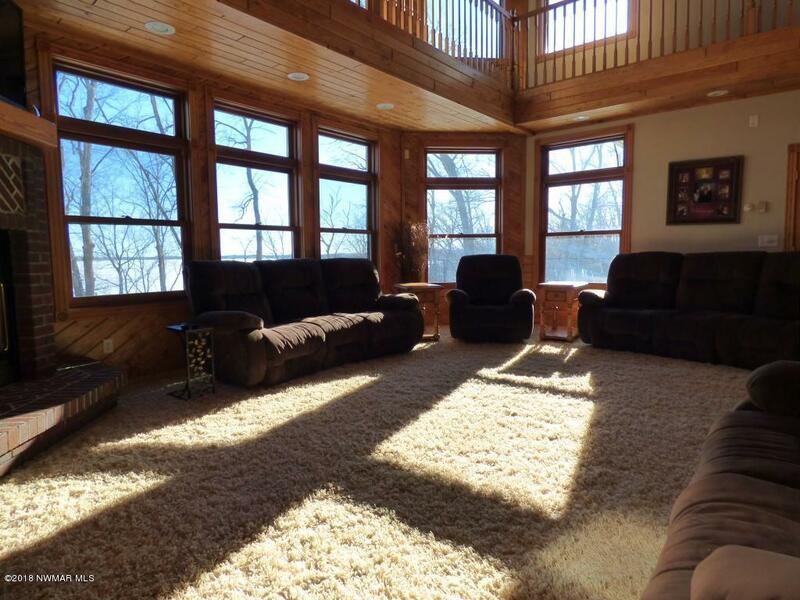 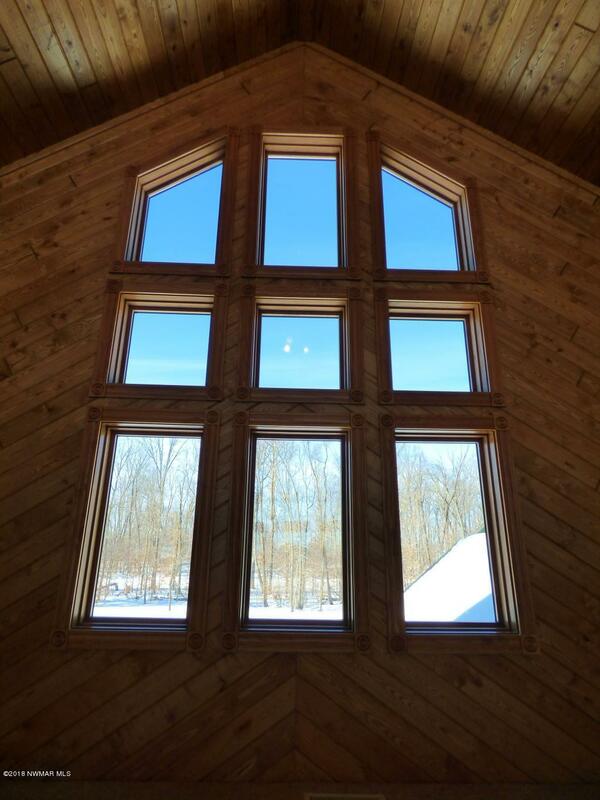 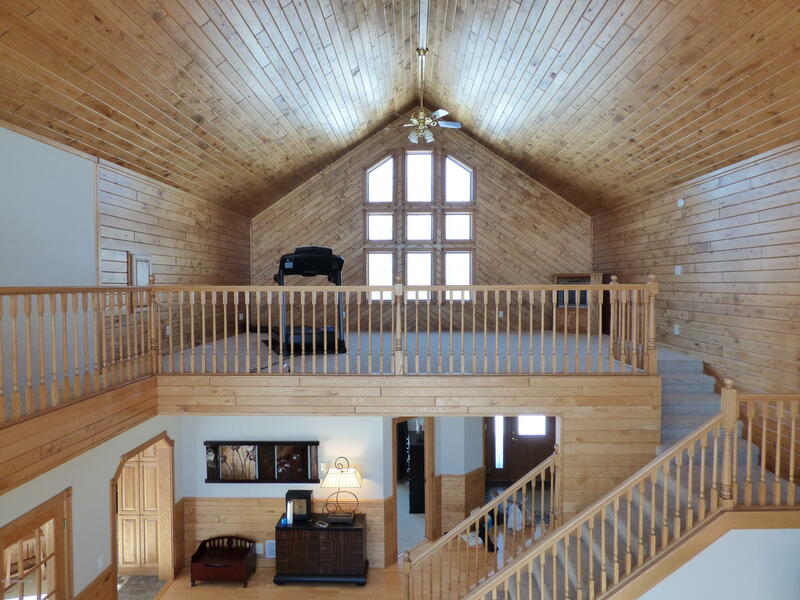 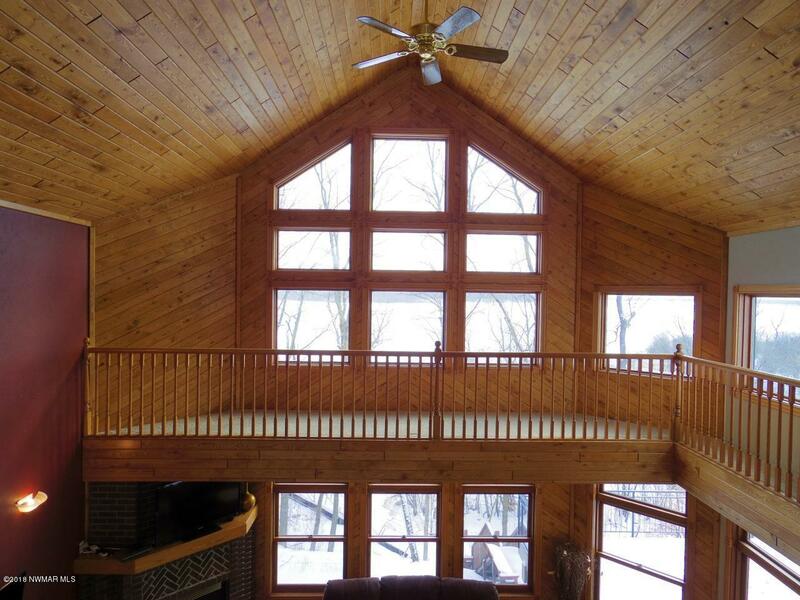 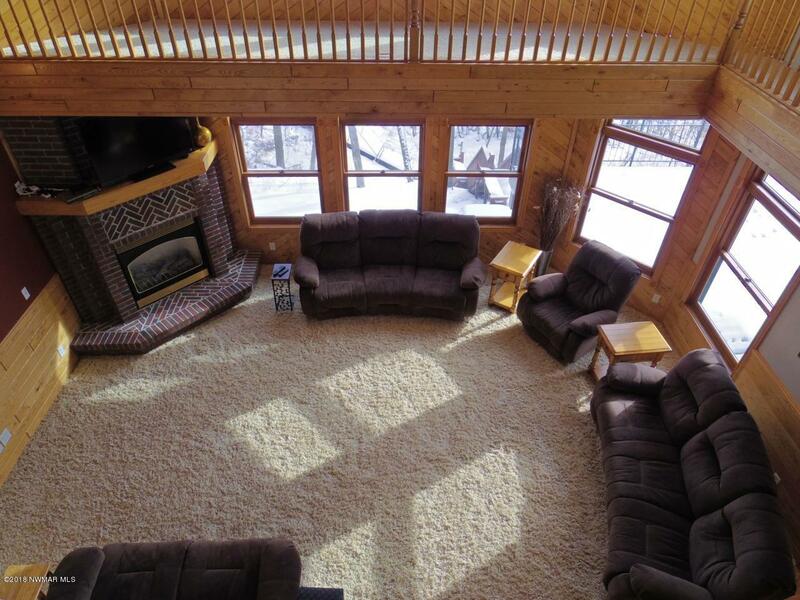 The loft overlooks the living room w/ a vaulted ceiling and large windows with amazing views throughout! 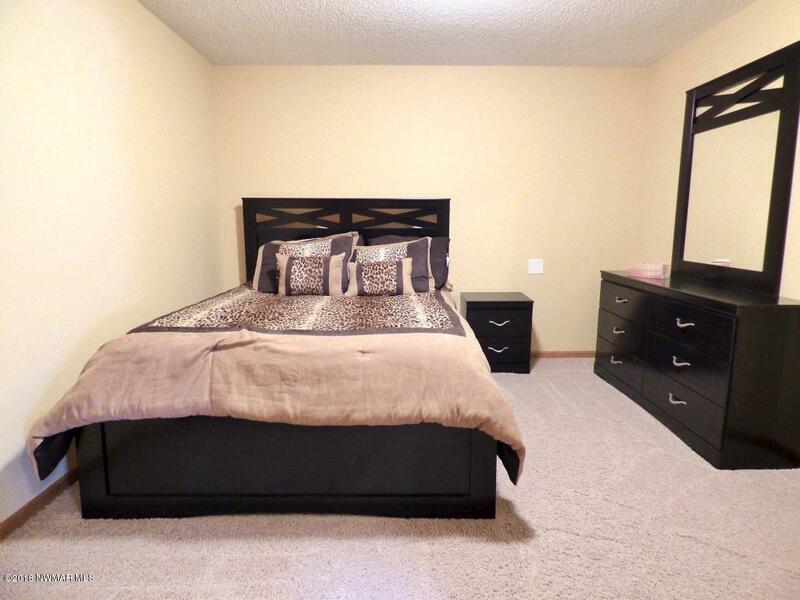 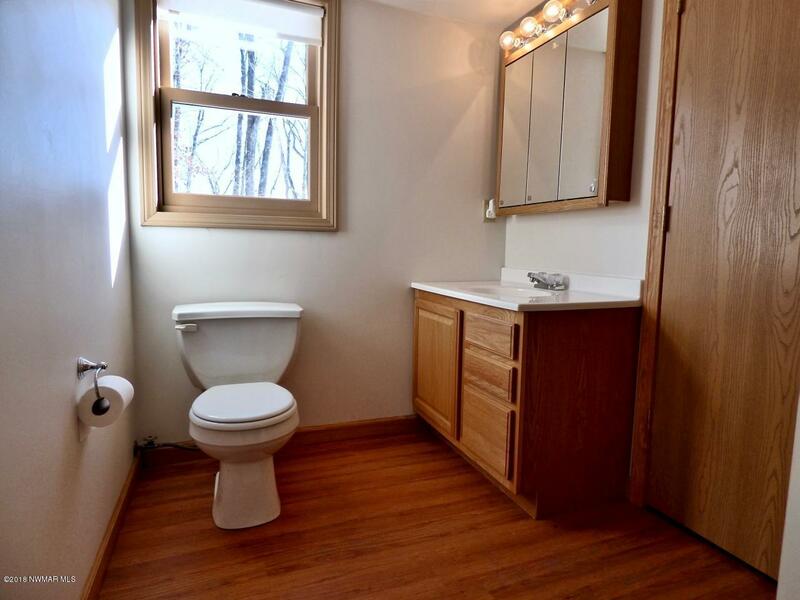 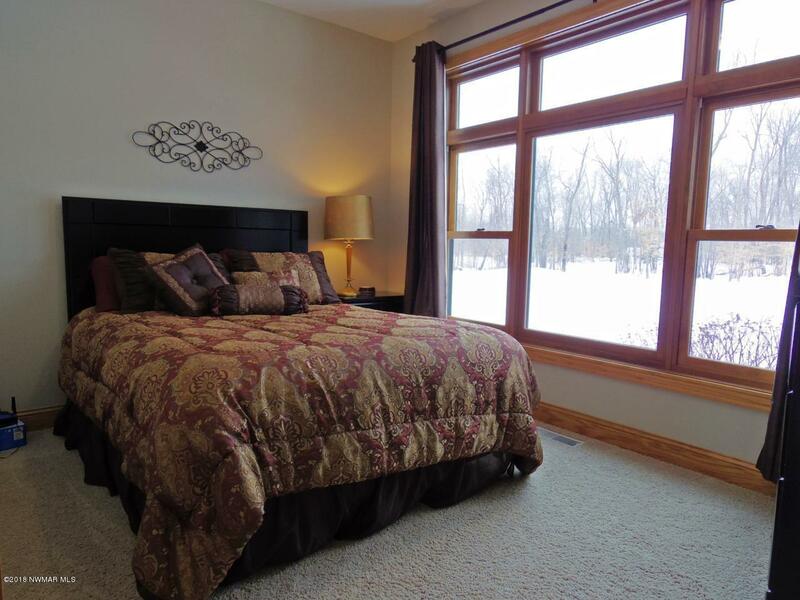 Large master suite w/ a private en-suite that features a tile shower, jetted tub, dual sinks & 2 walk in closets. 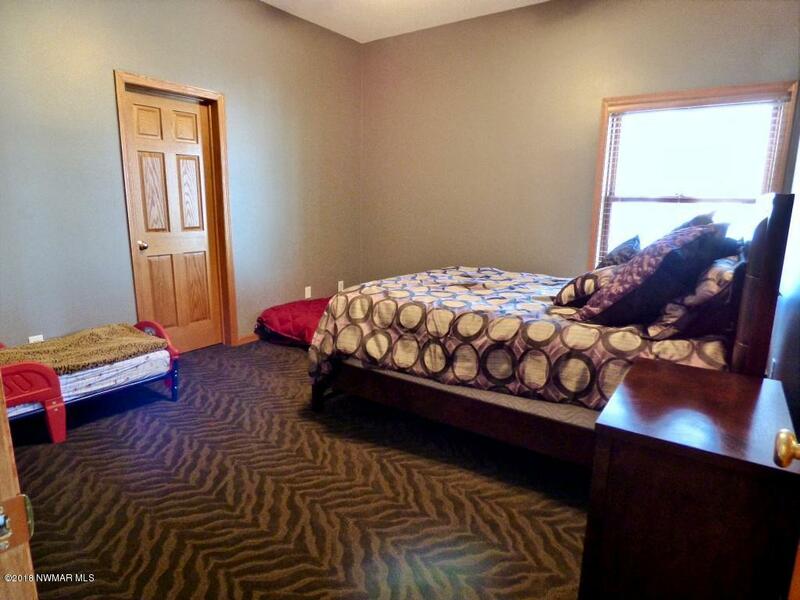 Bedrooms 2,3 & 4 are all great sized. 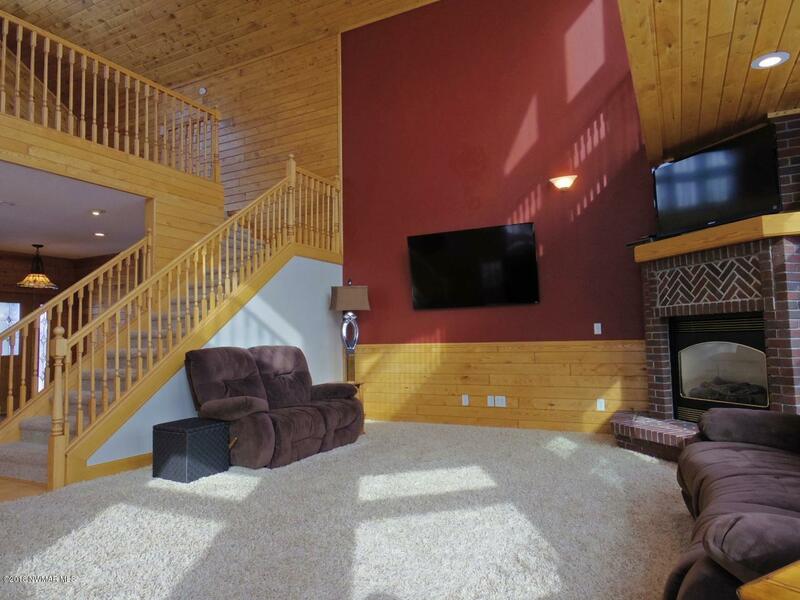 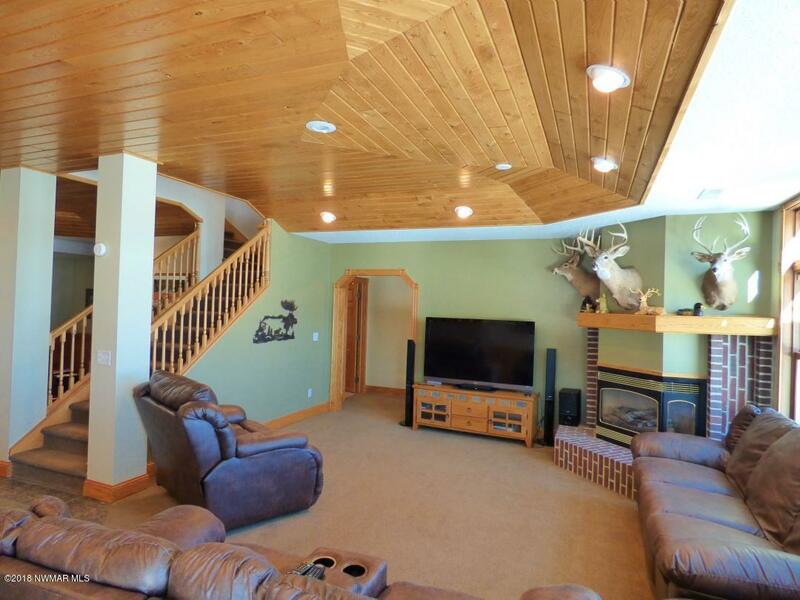 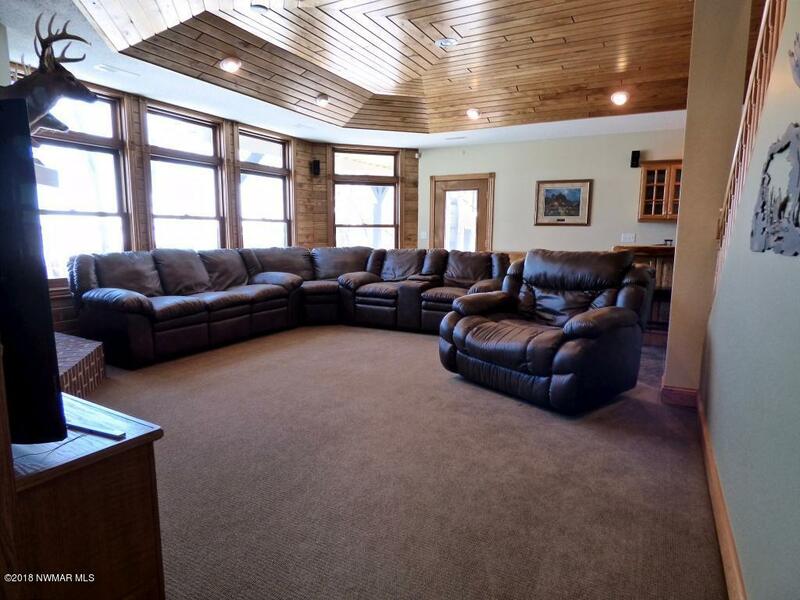 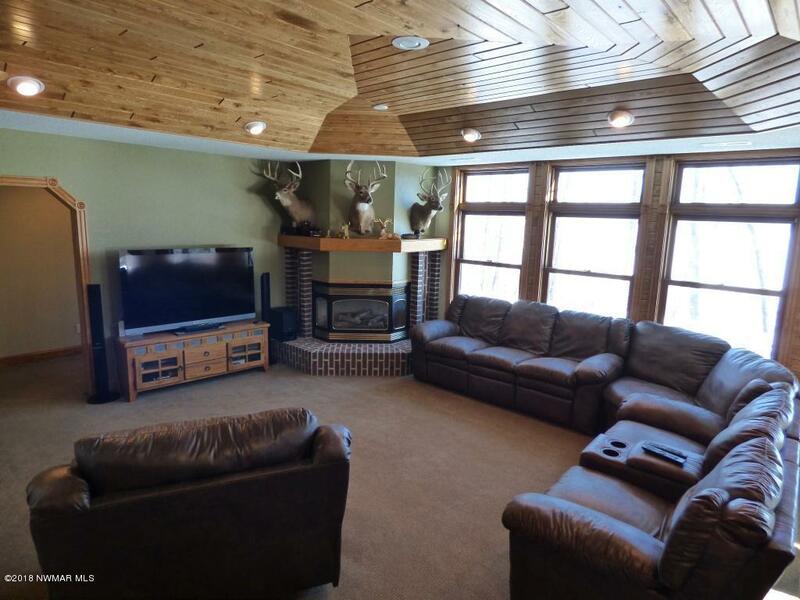 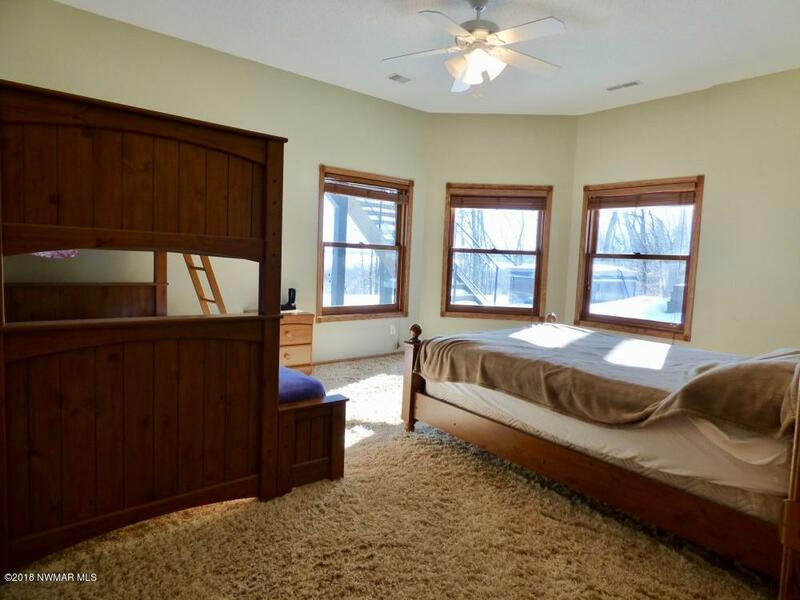 The lower level features a spacious family room, wet bar, huge storage/mechanical room, and BONUS room! 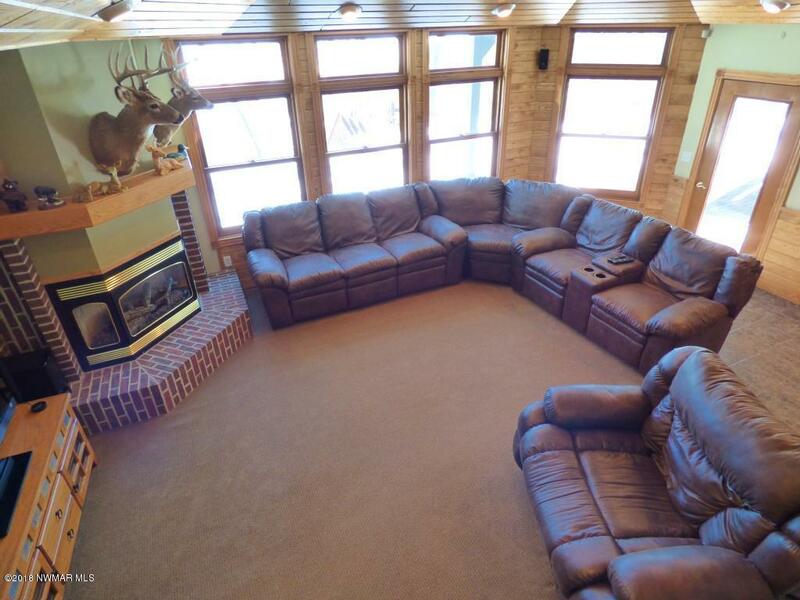 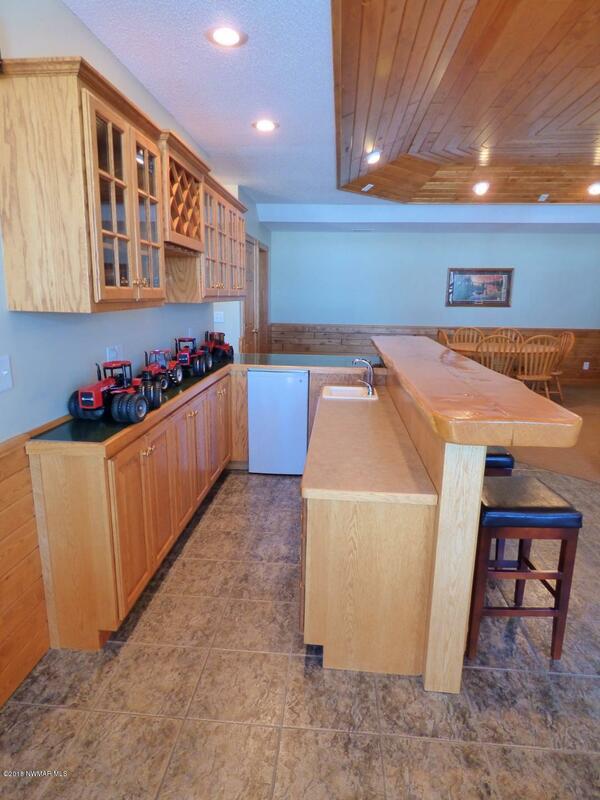 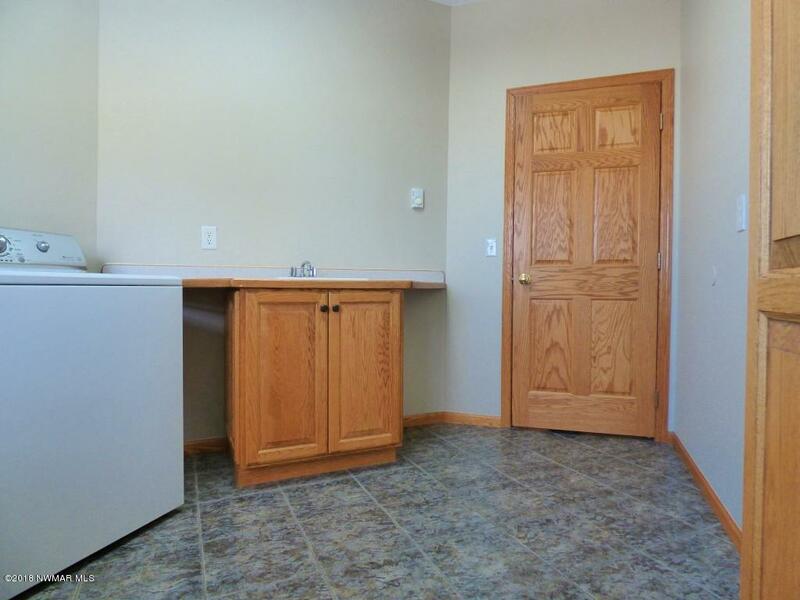 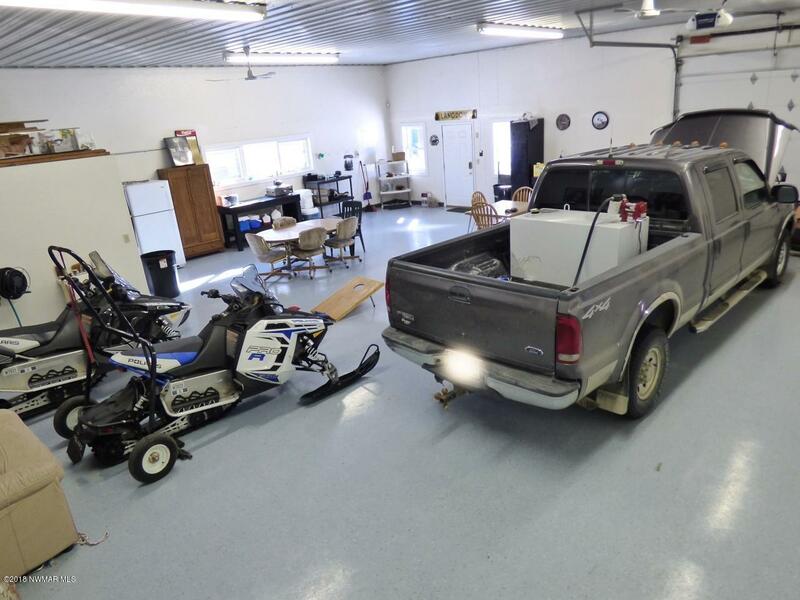 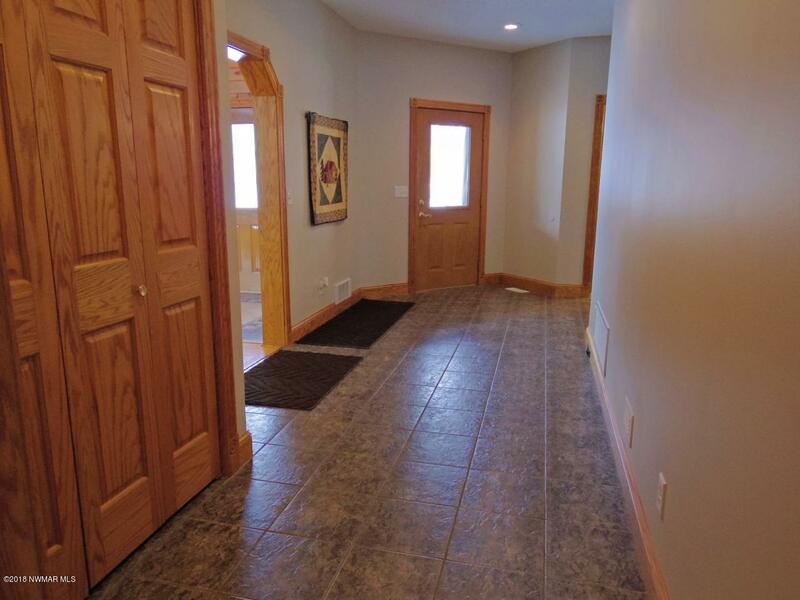 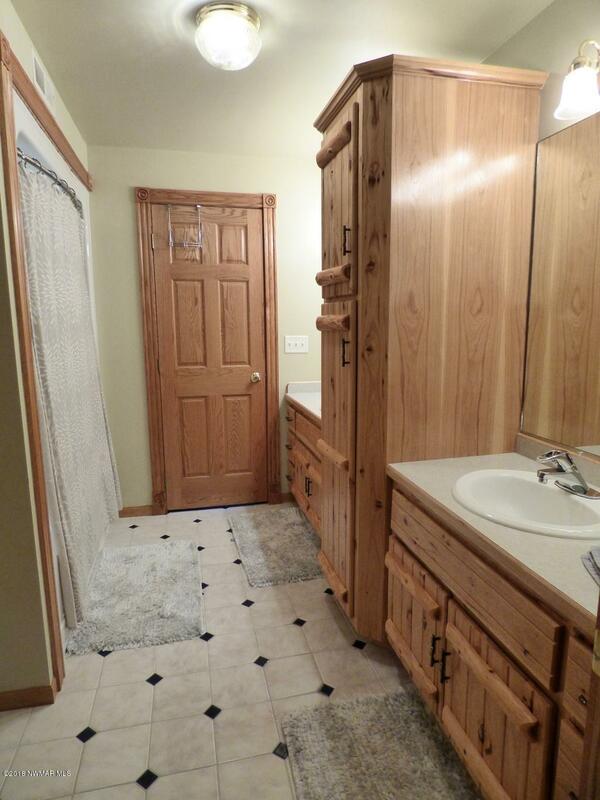 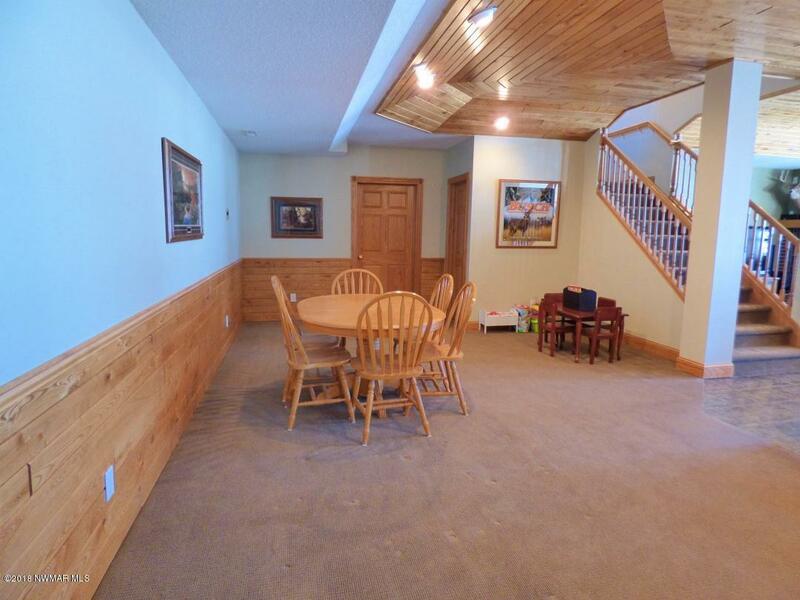 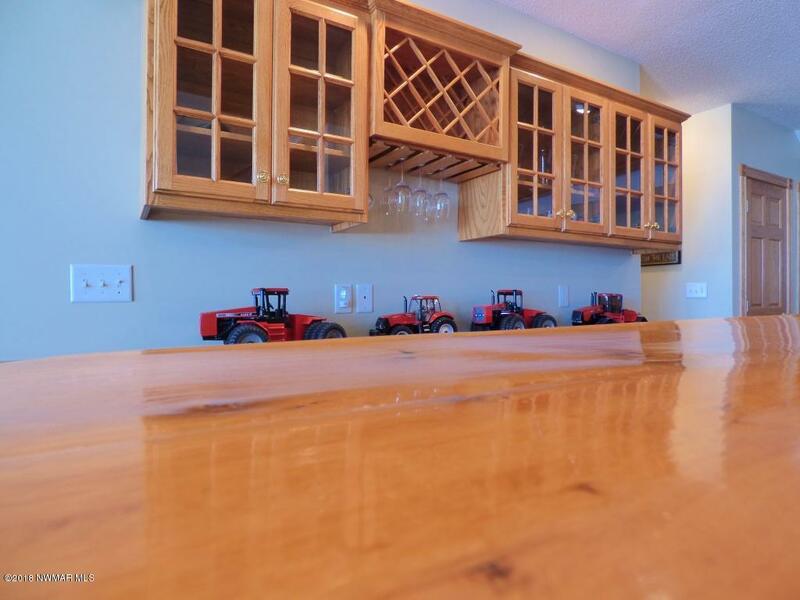 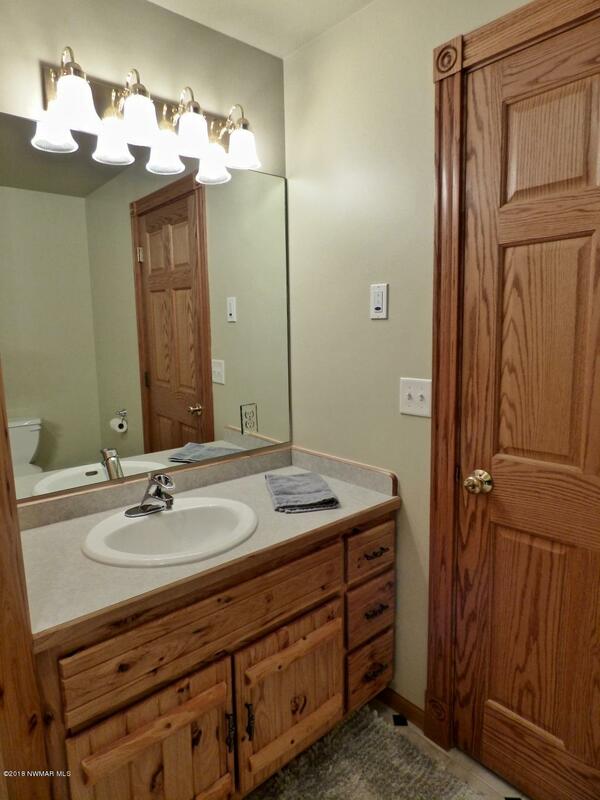 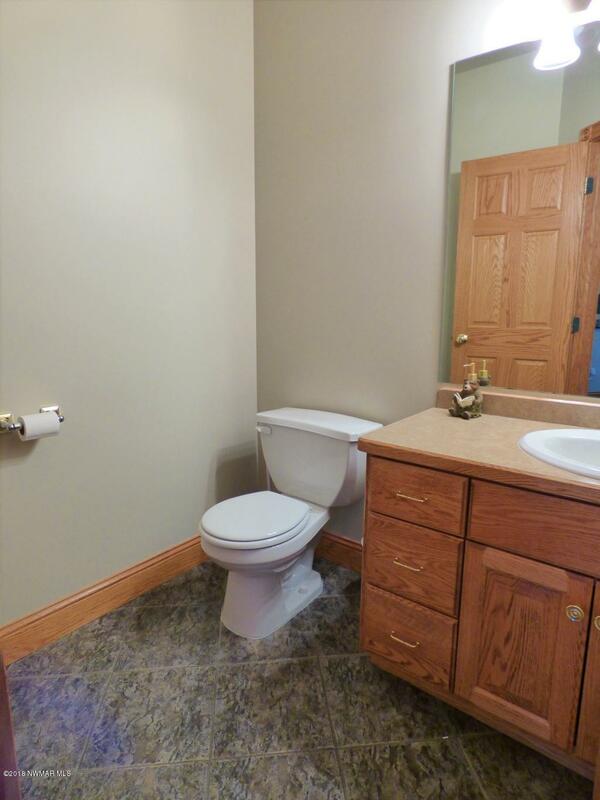 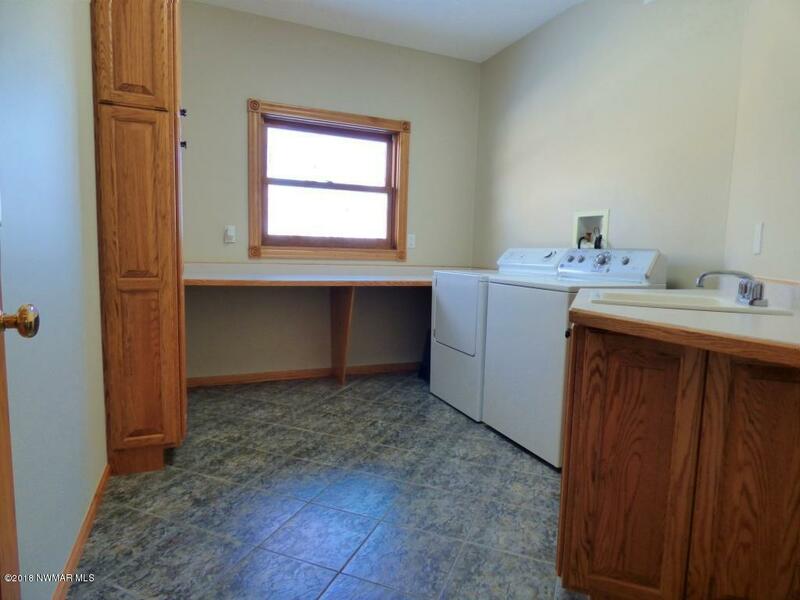 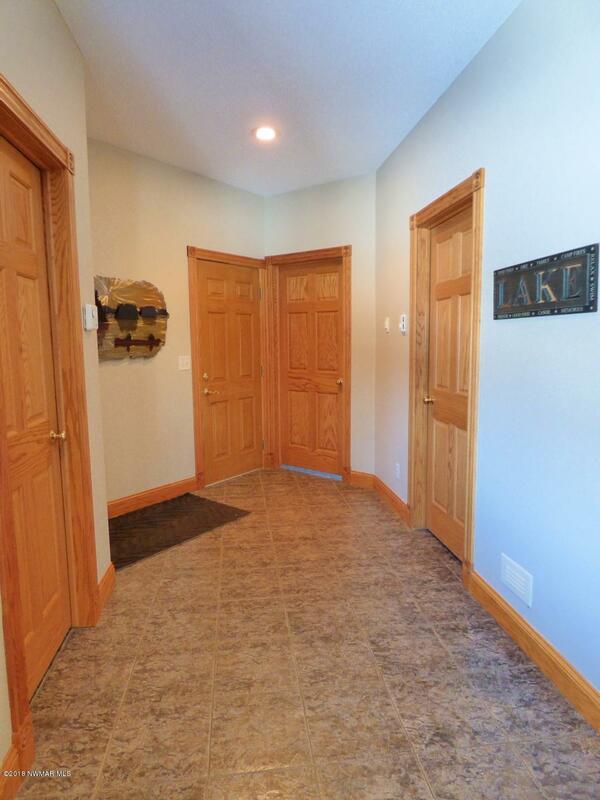 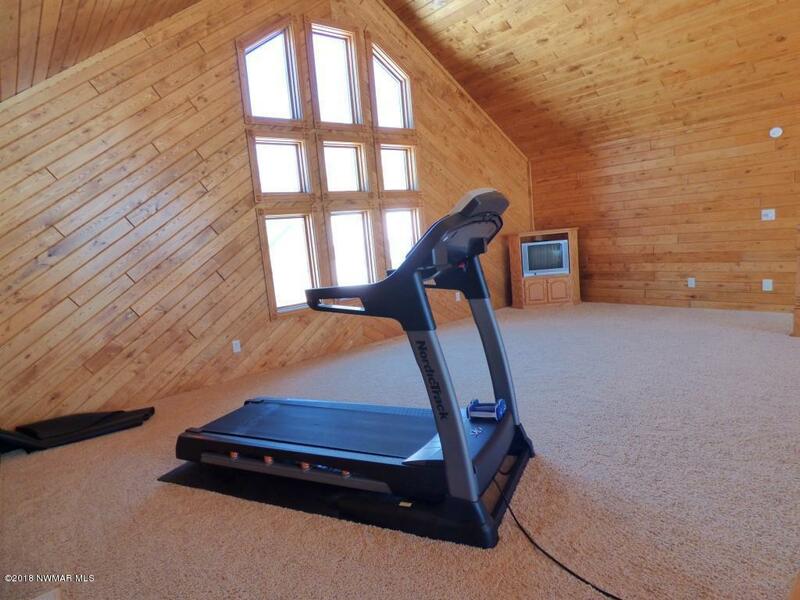 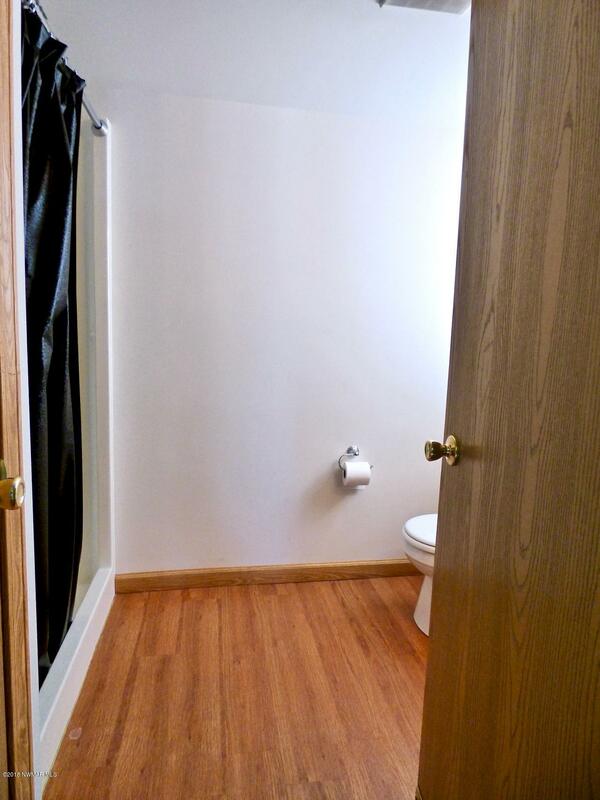 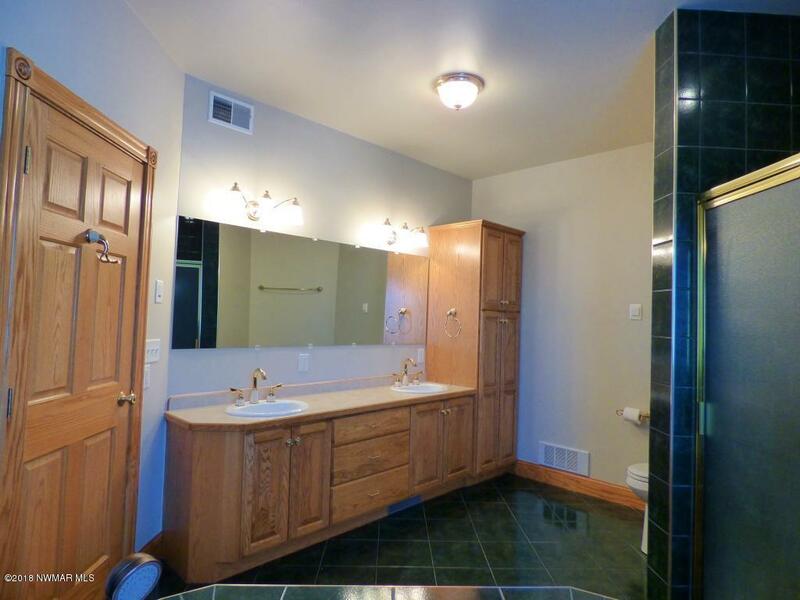 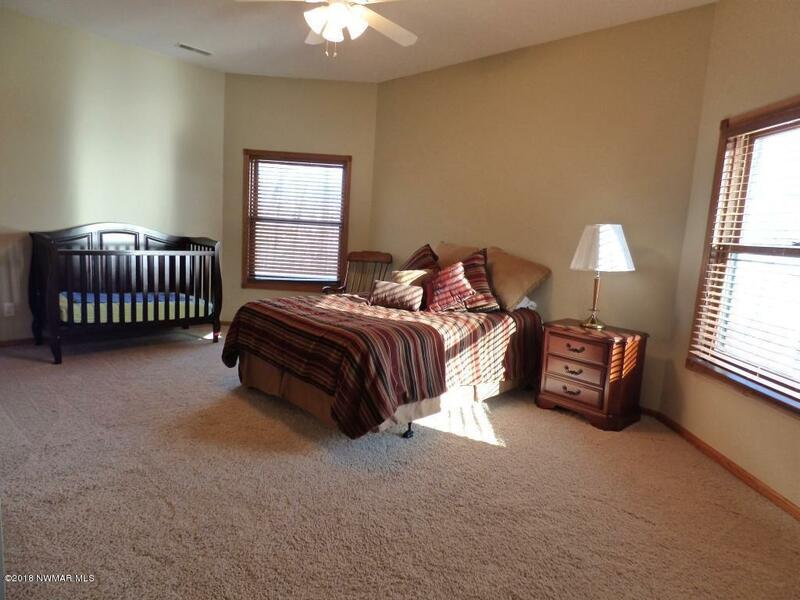 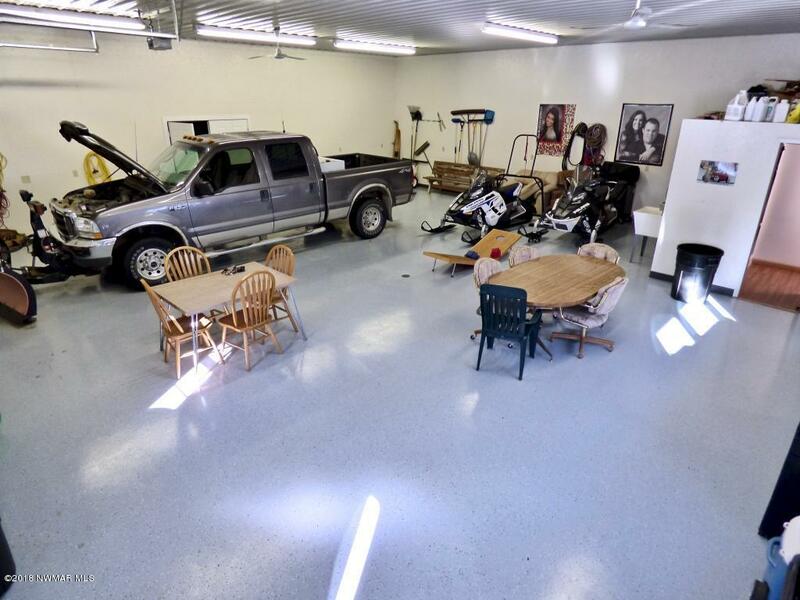 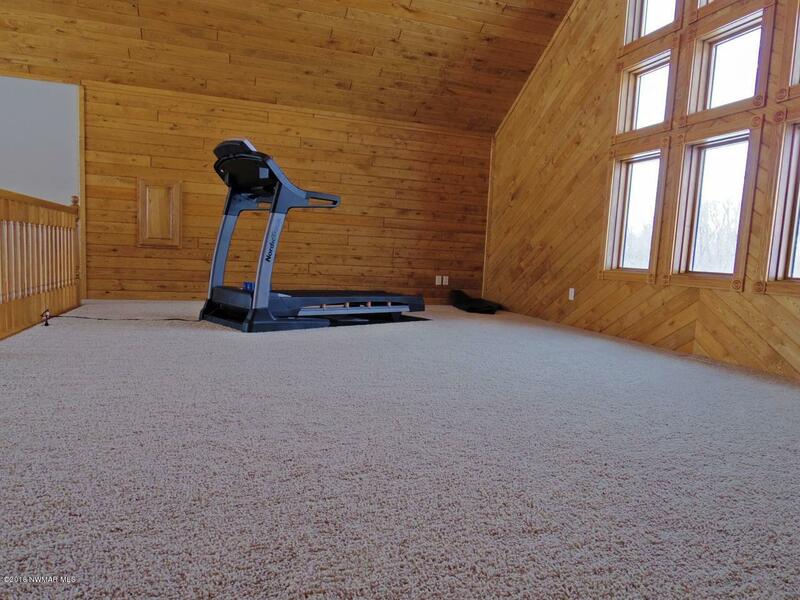 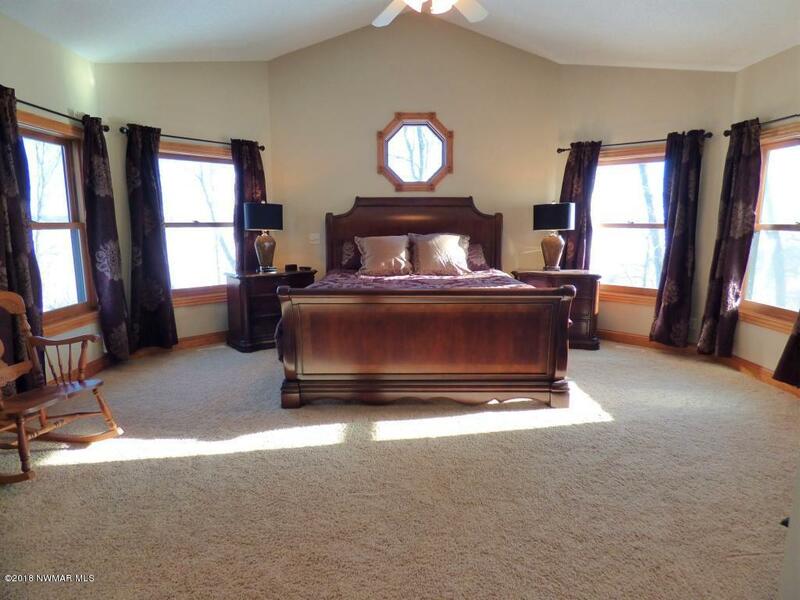 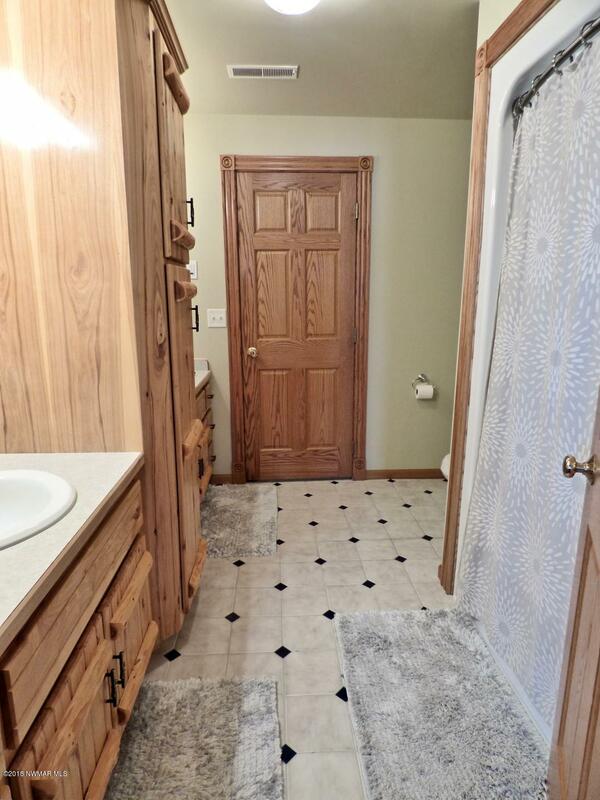 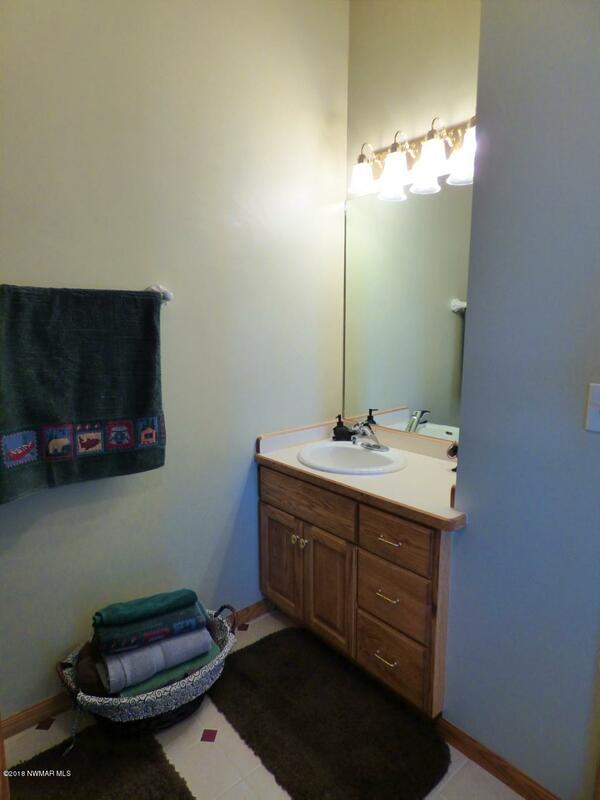 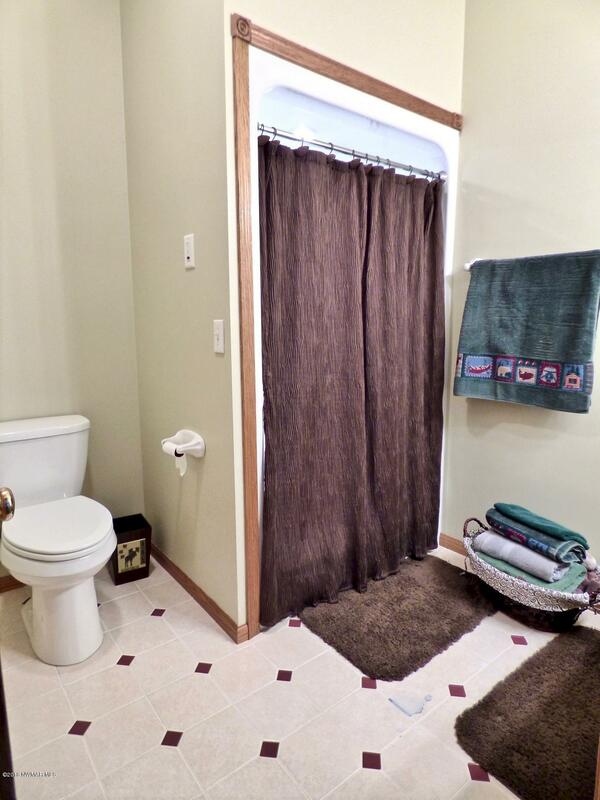 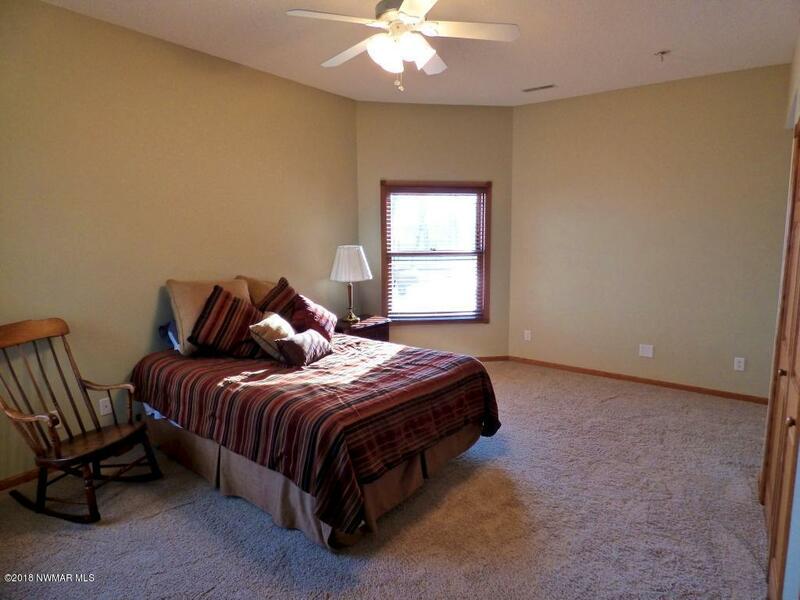 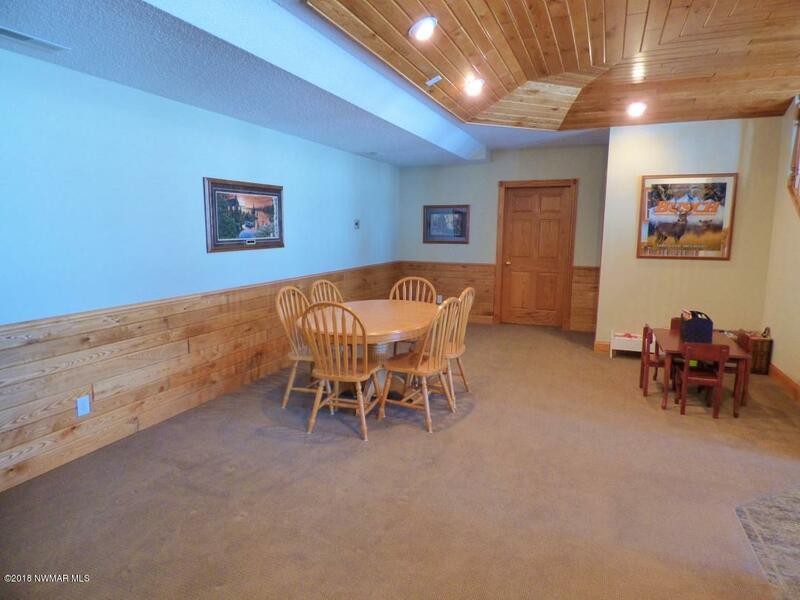 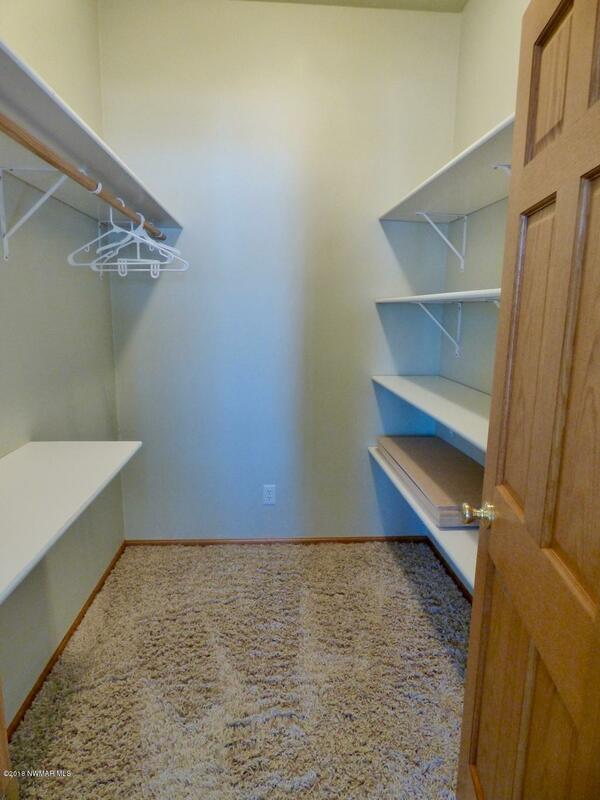 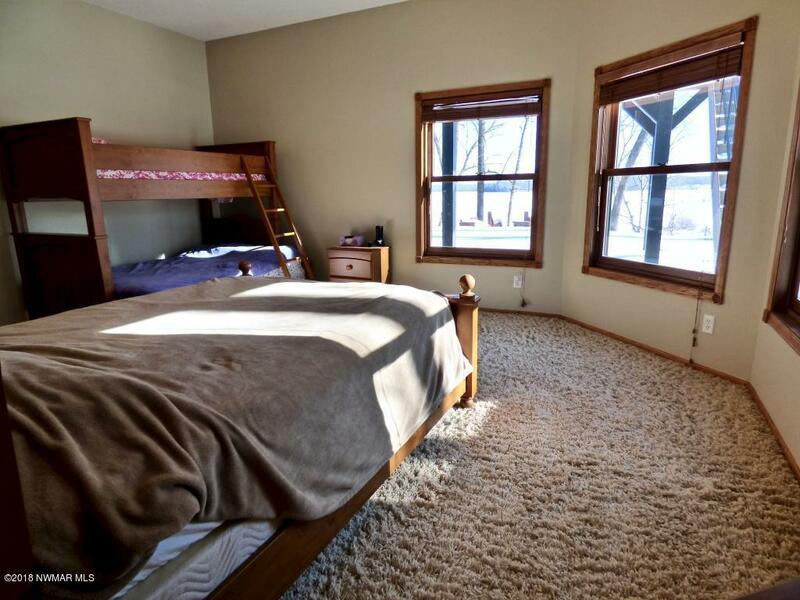 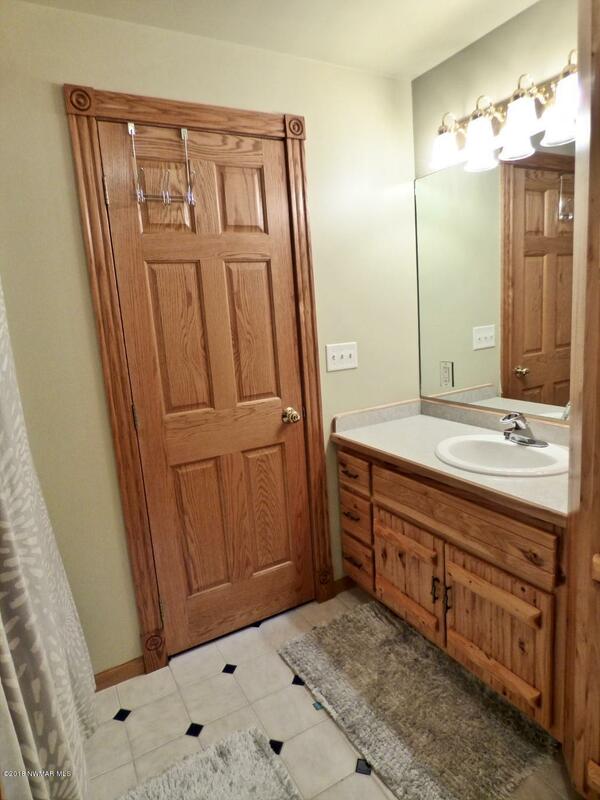 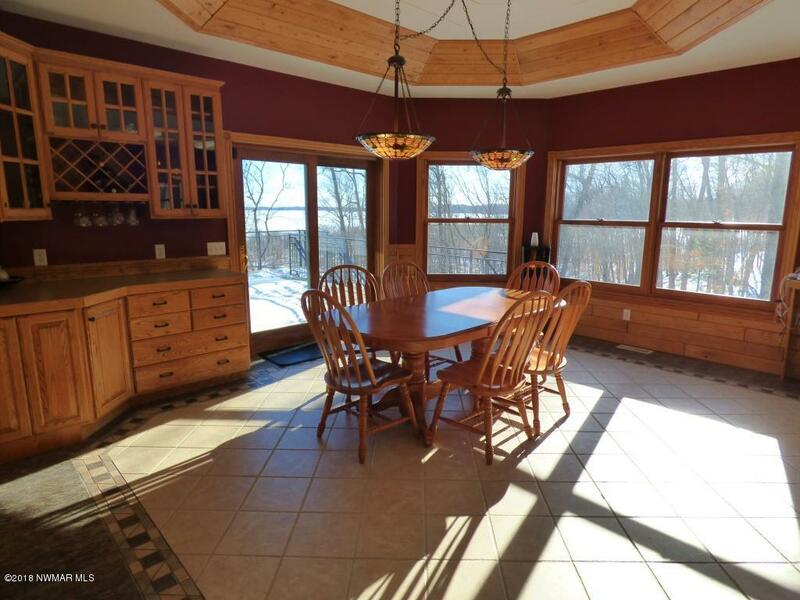 Plenty of room for storage w/ the 2 stall attached & 4 stall detached garage-both are heated! 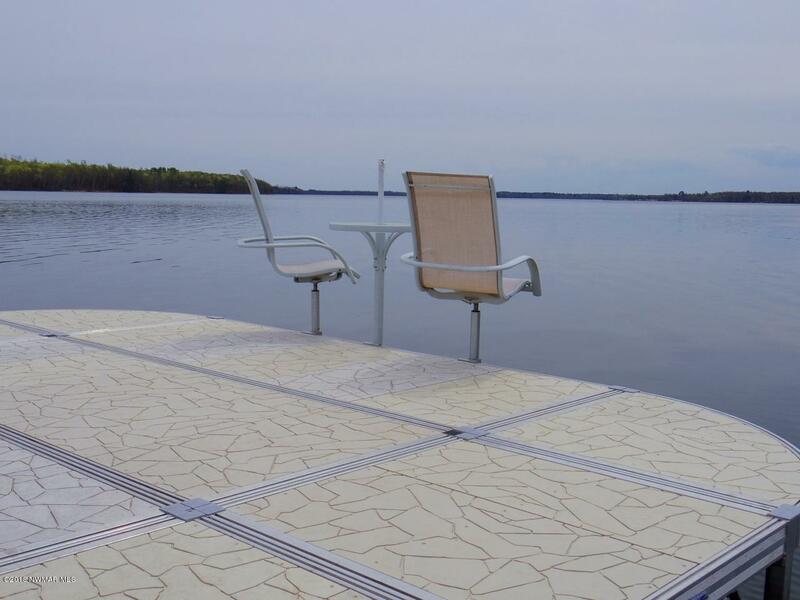 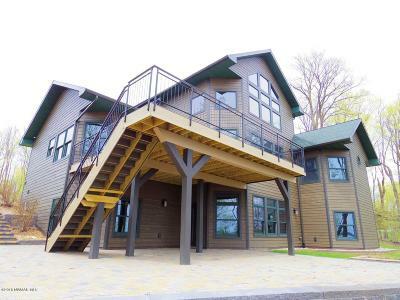 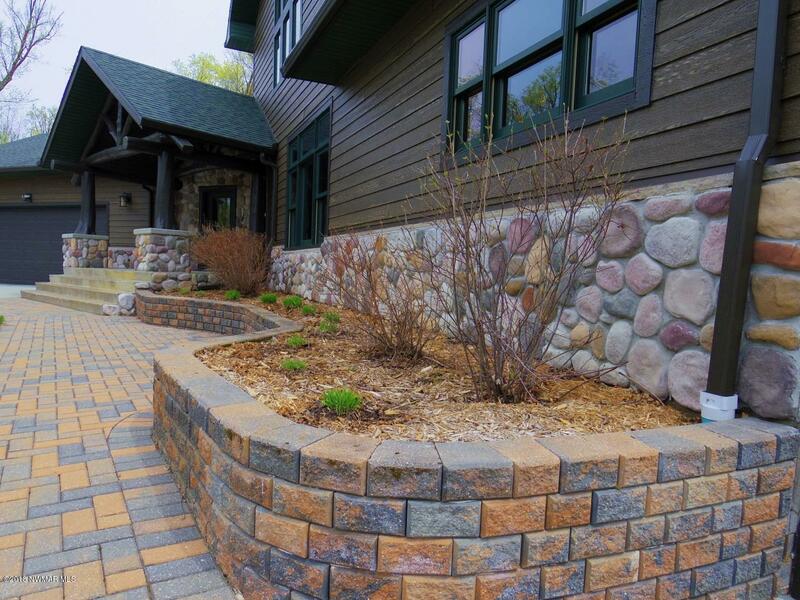 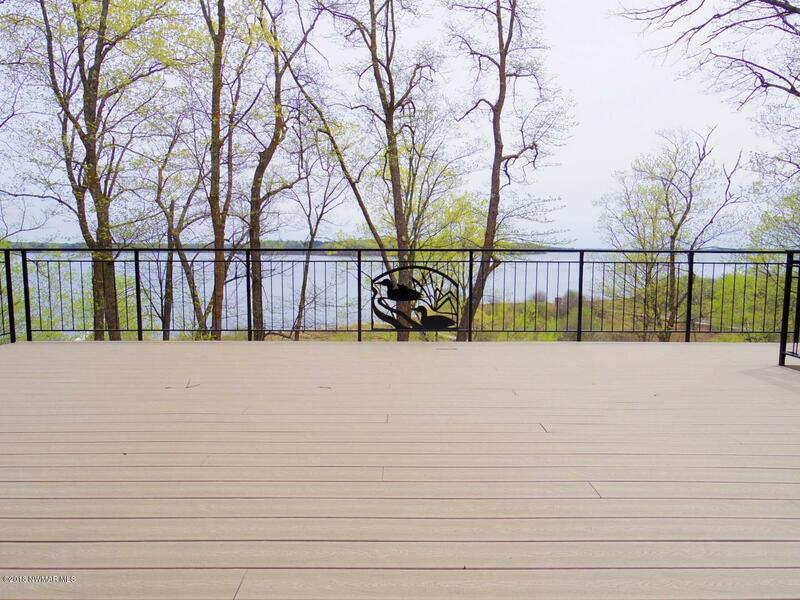 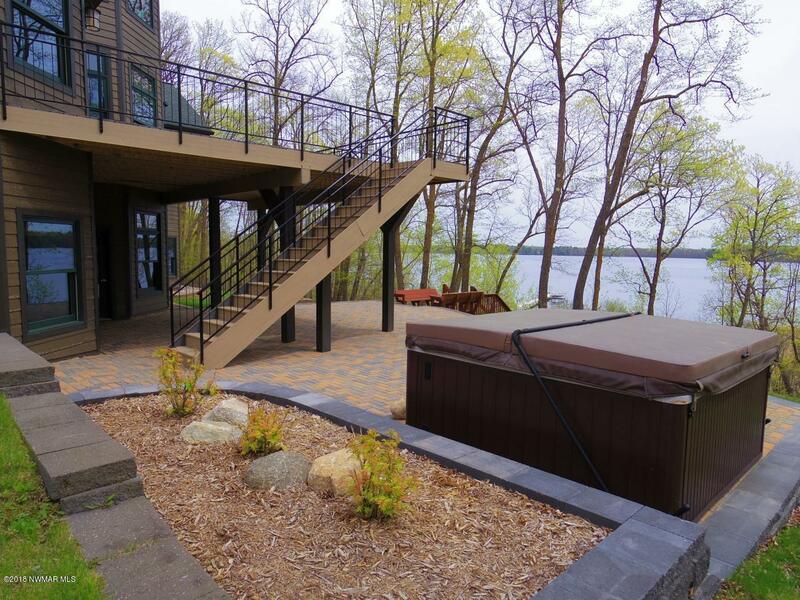 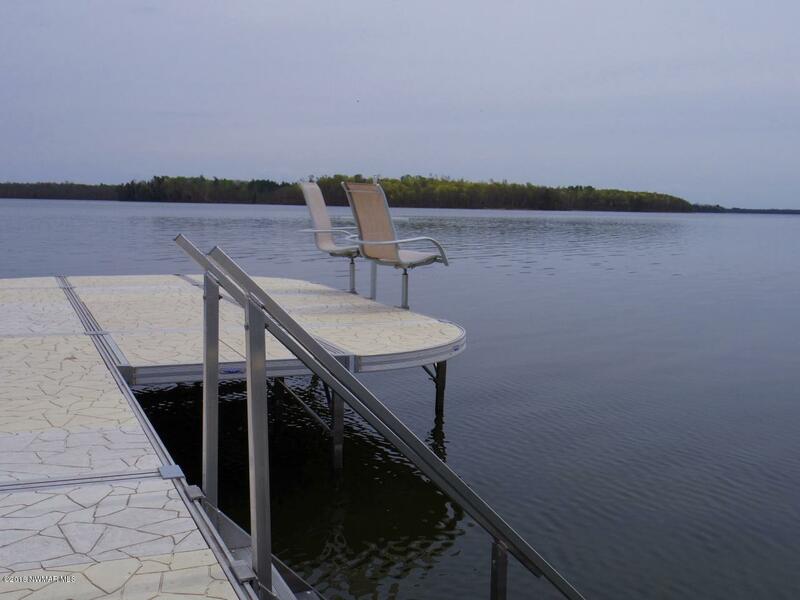 Smart siding, hot tub, massive deck and a dock... the list goes on and on!